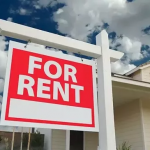 Are you thinking about buying your first rental property? Being a landlord can be a challenging experience. There are many things to keep track of, and one mistake can cost you. In our latest post, we have put together a checklist for the process of buying a rental property, the process of screening your tenants, and a list on how to manage once you are officially a landlord! Have Your Finances In Order – You should know your credit score and tend to any negative marks before you apply for a loan. You don’t want to find out after finding your dream home that you aren’t able to afford it. Set Your Limits – What can you afford to spend? Don’t compromise here. Struggling to make your mortgage payments will take the joy out of owning a home. Research – Talk to investors, read as much as much as you can, study your market’s trends, and consider buying a course. The best investors never stop learning. Take Notes – Take detailed noted of each property you see. Many people will use a chart to easily compare bedrooms, bathrooms, price and other variable features of a home. Hire Professionals to Help – A first-time investor should never navigate the process alone. Enlist the help of professionals to help you along the way. Buy Below Market Value – To help guarantee a return on the property, you should try to only purchase properties that are listed under market value. If you aren’t able to get the lease payments you are after, at least you will be able to sell the home for more than what you bought it for. Calculate a Property’s ROI – To calculate ROI, the net profit of your investment is divided by the amount of money you have invested. The results are expressed as a percentage or ratio. Advertise – Utilize the most popular sites, and make sure you have excellent photography and accurate property descriptions. Provide Application Forms – Hopefully, you will get tenants who want to apply on the spot. Make it easy on them by having application forms readily available. Background Check – Running a background check on prospective tenants is crucial. There are many services that can assist with this. Credit Check – In addition, running a credit check will help make sure your tenant will be able to pay you! References – Thoroughly check all references provided. Sign an Agreement – The agreement, or lease, should be very detailed and leave no room for disagreements. Include your process for conflict resolution. Clean & Repair the Property – Any repairs noticed during the inspection should be made before the tenant moves into the home. Change Locks – To reduce your liability and keep everyone secure, you should change the locks with each new tenant. Final Steps – Collect deposits, rent, and provide keys. Tenant File – Create a tenant file with all the pertinent information. Keep track of all tenant issues. Calendar – Keep track of important dates, lease terms, maintenance schedule. If you own many properties, property management software will help to keep you organized. Stay on Top of Things – Keep the house in good shape and exercise a proper maintenance schedule. Master Vendor List – You will inevitably have to pay repair costs and maintenance fees. Work with vendors you trust for maintenance, plumbing, AC repair, etc. Keep their contact info readily available.